An honest conversation about your child’s needs isn’t something to fear – it can help you work and learn together. Gareth D Morewood asks one parent for their views. Recently there has been a flurry of questions on Twitter and from colleagues in different schools about how parents and carers should reveal a diagnosis to their child. As with all things SEND I’d never presume to know the right answer, as there is no one-size-fits-all approach to something so context-bound and personal to that family. However, one thing of which I’m sure is that young people should be given the opportunity to understand their needs in relation to themselves, so that they can interact and engage with the world in which we live. Trying to go about life not knowing why you cannot do certain things or engage with others as you want despite trying so hard, must be incredibly frustrating. When asked this question, I wanted to do what I am so often able to and simply link to a blog post or resource. But I soon realised that I didn’t have anything to hand. That’s why I decided to ask an amazing parent, Claire Ryan (@Claire_Ryan12) and her son for their views. After all, who better to ask than a parent and young person who have been through the process themselves? This is their perspective. ‘Is there a best time to do it? Should you wait until they are older? Do you know enough to answer their questions? What if they react badly? What about their siblings? ‘So many questions and worries rush about in parents’ heads after their child first receives a diagnosis of autism or ADHD. Should you tell them? It’s obviously your choice as a parent, but the resounding opinion of adults with diagnoses is "yes, you should!" 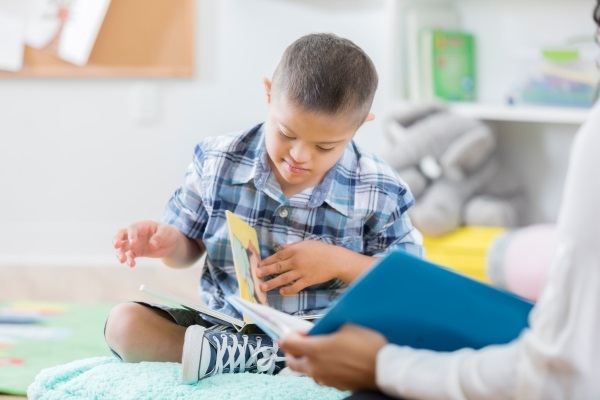 ‘Your child will know that they are different, that they are struggling, but understanding what their diagnosis means to them will help them to become a strong advocate for themselves in the future. ‘You don’t have to be an expert in autism or ADHD to talk to your child about their diagnosis. You know your child best and anything you don’t know, you can find out together. ‘As a family, try talking about your individual differences. This could include what you like and what you don’t like (e.g. food, games, clothes, music), what you are good at and what you are not good at, and so on. Talk about things that make you happy, angry and sad. Make a chart or list so that you can easily compare everyone’s similarities and differences. ‘If your child is feeling negative about their difficulties and challenges, they might not want to engage in this activity. If so, allowing them to just watch can still be beneficial because they can see that their family are happy to talk about their differences and things which they find difficult. Sometimes watching TV shows or simply letting the young person read a book can be a useful way of starting discussions. ‘It is important to try talking about how everyone is different and that autism or ADHD describes their differences. You can include strengths in this too which can make it a more positive experience for them. If they’re interested, look up positive facts such as the prevalence of the condition so that they know they are not alone, or for positive role models who share their diagnosis. not always understanding what is being asked. ‘The passport can be an A4 page, or each point could be on small pieces of card. You can also add pictures or photos to make it personalised. The main aim is to keep each point brief so that people read it and take notice! ‘You could make passports for everyone at home too if you think it would be helpful. It could be really useful to develop understanding of others in the family and everyone’s differences. ‘In essence, try not to be afraid of telling them about their diagnosis. It can be really positive for everyone concerned when adults and children learn together. I would add that collaboration is not limited to parent-child relationships, but should be reciprocated in schools too. One thing Claire and I agreed on is the importance of including young people, and their parents and carers in school decisions. For only this will lead to better outcomes for all. Claire is a mother to three young people with SEND who have various diagnoses. She was also diagnosed with ADHD as an adult. Claire is proud to have been a parent patron of Ambitious about Autism for many years and has spent time as a community champion in the talkaboutautism online community. In her spare time she supports parents and teachers in all matters relating to SEND, and is passionate about inclusion and equality.